Humanity is fortunate. Spread around the world a few insightful people are awake, that is to say, aware of the distinction between illusion and Simple Reality. As a whole, however, we have been unfortunate in choosing not to acknowledge or incorporate the wisdom of these insightful community members into the worldview of the general population. That behavior has not changed over time despite the growing sophistication of the human intellect. Why is that? Obviously, so called enlightenment has nothing to do with the intellect but is instead a function of wisdom. Wisdom then, is precious, it is beautiful, it is Truth, it is freedom, it is—alas—rare. And because it is all these infinitely valuable “things,” we should place a high priority on it; but instead we continue to refuse the one thing that can save us from our self destruction and suffering. What is this elusive thing called wisdom? Traditional learning in the fields of art, science and mathematics, for example, have steadily increased but this is not true of wisdom. Some individuals (given certain favorable conditions), during the period of oral and written history, have been able to attain wisdom; but so far the human race as a whole does not seem to evolve in its attainment of wisdom. And in fact, we seem to have less discussion of what wisdom is today than we did in ancient and medieval times. Another trait of wisdom unlike other forms of “knowing” is that it is married to action. The wise are not passive in the world. Perhaps that is because at the heart of wisdom is compassion which connects us to others in the act of “suffering with” which is the literal meaning of compassion. Compassion connects and binds humans together in mutual support. No wonder wisdom has been valued in the past and obviously, in view of the current human condition, needs to be visited again. If wisdom is found in each individual, why aren’t we doing a better job of creating a sustainable global community today? Where did we get off track? Why haven’t we established contact with or been able to hear our inner “still, small and wise voice?” One reason (in the West at any rate) is ironically called “the Enlightenment.” The ultimate “head” people, our Western philosophers, stand out as being among the culpable who helped mesmerize the vulnerable, fear-driven mind. They, if course, had lots of help from the rest of the human community. “Locke’s (John Locke, 1632-1704) purpose in An Essay Concerning Human Understanding was to inquire into the origin and extent of human knowledge, and his answer—that all knowledge is derived from sense experience—became the principle tenet of the new empiricism which has dominated Western philosophy ever since. Even George Berkeley (1685-1753), who rejected Locke’s distinction between sense qualities independent of the mind and sense qualities dependent on the mind, proposed an idealistic philosophy in response to Locke’s provocative philosophy and gave it an empirical cast which reflected Western man’s rejection of innate or transcendental knowledge.” Seeking the origin of Western philosophical thought that provides the foundation for P-B, is of interest for those of us who want to understand how Western humanity developed an unsustainable culture. Locke’s “new empiricism,” relying as it does on the senses, is obviously flawed for we know that the senses are designed for and limited to enabling the human organism to survive in the physical world. The senses supported by the intellect create the basic human survival strategy but do not provide the possibility for a deeper understanding of where and who we are and for behaviors that allow for the sustainable worldview underlying P-A. We must, therefore reject the philosophy of John Locke, et al. as too limiting in its understanding of reality. Irish philosopher George Berkeley also failed humanity by rejecting the very wisdom that is essential for the shift from P-B to P-A. He denied the existence of “innate or transcendental knowledge,” what we have called “intuition” which is fundamental to our ability to distinguish “emotion” from “feeling” or “reaction” from “response.” Connecting feeling and response are at the heart of the behavior we call the Point of Power Practice (refer to the Appendix). The American Transcendentalists, especially Ralph Waldo Emerson, were able to come much closer to a profound world view because they affirmed our intuitive connection to what Emerson called the “Oversoul” or what David Bohm called the Implicate Order. What science calls evolution is not progress toward a paradigm shift. And philosophers can get excited by what may appear to them to be increased human consciousness when in fact humanity remains firmly committed to P-B and the false self. “Kant [1724-1804], for instance, enthusiastically hailed Rousseau as the Newton of the moral world, and Condorcet in his Progress of the Human Spirit enumerated the ten stages by which man had raised himself from savagery to the threshold of perfection. Material progress was certainly an observable fact; and since nature held all the secrets that a man needed to know, and reason could unlock them, eventually man could control his environment. If he therefore would only use his mental and moral powers to their fullest extent, the argument ran, man could go in one direction only, onward and upward.” Such is the illusion created by the functioning of the human intellect. 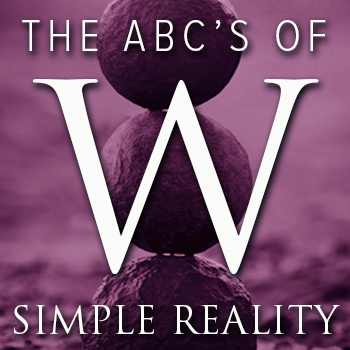 We will now meet and listen to a few of the present and past insightful mystics and others who discovered principles that distinguish reality from illusion, as well as some who failed to do so. Perhaps some of us are ready to begin making different choices than we have made in the past. If so, we will have all the help we need from those who “embody” the always present human wisdom and our own connection with it as we proceed to take the responsibility of creating our own reality and expressing the deepest yearning of the timeless Universe. Having begun with Wilber, Pagels and Ram Das, tracing wisdom back through history, we see that wisdom today and wisdom thousands of years ago in both the East and the West has remained unchanged. Indeed, that which is “real” does not change. The wise man knows it is the “craving” for and not the lack of possession that is the origin of suffering. We can understand wisdom in three ways: first, by meditation; this is the most noble way. Secondly, by being influenced by someone or following someone; this is the easiest way. Third is the way of experience; this is the most difficult way. Wisdom and compassion are synonyms in that we cannot err when being guided by an open heart in the present moment, our natural and compassionate state of being. The well-known Spanish mystic, St. John of the Cross (1542-1591), uses the word “natural” to mean just the opposite in the next sentence. “[In] order to attain this state [the Now] the natural operations [false-self behaviors] must be completely disregarded [stop the identification with the body, mind and emotions], and this happens, as the Prophet [Jesus] says, when the soul comes into solitude [the Now], according to these its faculties, and God speaks to its heart.” In short, reactive behavior must cease before we can access the Implicate Order, our inner wisdom. In the 16th century Christian worldview, the intellect was sometimes thought of as synonymous with the personified devil. “And finally all the worst deceptions which are caused by the devil, and the evils that he brings to the soul, enter by way of knowledge and reflections of the memory [conditioned reactions] … For the devil has no power over the soul unless it be through the operations of its faculties, principally by means of knowledge.” Here St. John of the Cross, because of his extensive meditation in solitude, expresses his experience that the intellect can be used by the “the devil” (false self) to distract us from Simple Reality. It didn’t pay to speak of knowledge, let alone wisdom in the Church of the 13th century. Eckhart was charged with 28 counts of heresy and perhaps escaped severe punishment by dying. There was a parallel between the beliefs of Eckhart and the Indian teacher Shankara whom we shall meet in a moment. P-A provides a vantage point that brings clarity to the observer and adds to his store of wisdom. Lucretius (99-55 B.C.) found nothing “more gladdening than to dwell in the calm high places, firmly embattled on the heights by the teaching of the wise, whence you can look down on others, and see them wandering hither and thither, going astray as they seek the way of life.” Wisdom brings the perspective of Oneness, the Great Insight. “Plato (427-347 B.C.) had set a theme by picturing the Ideas of God as the patterns on which all things were formed; the Stoics had combined these Ideas into the Logos Spermatikos or fertilizing wisdom of God; the Neo-Pythagoreans had made the Ideas a divine person; and Philo had turned them into the Logos or Reason of God, a second divine principle, through which God created, and communicated with, the world.” This could be read as the chronicle or history of the Implicate Order, as conceived by the human intellect of course. Substituting Logos for the more common translation Word in the familiar passage from the Fourth Gospel, we can get a better feel for how appropriate the Implicate Order of Simple Reality and wisdom become more inclusive synonyms for God. In the beginning was the Logos; the Logos was with God, and the Logos was God … All things were made by the Logos; without him nothing was made. It was by him that all things came into existence … So the Logos became flesh and blood, and dwelt among us. Wisdom is intuitive, simple and insightful. By insightful, we mean that wisdom penetrates through the illusion of P-B. The following example illustrates both insight and simplicity. From E. J. Thomas’ Life of the Buddha, we have the Four Noble Truths followed by the simplified Simple Reality (SR) version. Buddha’s First Noble Truth: “Now this, oh monks, is the noble truth of pain: birth is painful, sickness is painful, old age is painful, sorrow, lamentation, dejection and despair are painful. (Simple Reality) (SR) Reaction instead of response results in afflictive emotions or suffering. Buddha’s Second Noble Truth: “Now, this, oh monks, is the noble truth of the cause of pain: that craving, which leads to rebirth, combined with pleasure and lust, finding pleasure here and there, namely, the craving for passion, the craving for existence, the craving for non-existence. (SR) The creation of our survival strategy, deriving our identity from our body, mind and emotions and our being contained in P-B, leads to delusion and dissatisfaction. Buddha’s Third Noble Truth: “Now this, oh monks, is the noble truth of the way that leads to the cessation of pain: the cessation, without a reminder, of that craving; abandonment, forsaking, release, non-attachment. (SR) By using the Point of Power Practice, choosing response over reaction, we transcend the old story, the old identity and the old unconscious, reactive behaviors that are the source of our suffering in P-B. (SR) The eight behaviors named above are, in fact, among the results of our choosing to stay in the present moment, not the “causes” of Simple Reality. In the fourth Noble Truth, Buddha had put the cart before the horse. It will be difficult for many of us in the West to understand how the intellect is a barrier to Simple Reality given how enamored we are of our ability to “reason.” The “Enlightenment” that we believe ushered out the dark ages of superstition is not the Enlightenment of transcendence. Buddha (563-483 B.C.) seemed to understand the distinction. “There is nothing stranger in the history of religion than the sight of Buddha founding a worldwide religion, and yet refusing to be drawn into any discussion about eternity, immortality, or God. The infinite is a myth, he says, a fiction of philosophers who have not the modesty to confess that an atom can never understand the cosmos. He smiles at the debate over the finity or infinity of the universe, quite as if he foresaw the futile astromythology of physicists and mathematicians who debate the same question today. Wisdom is indeed found only beyond words in the fruitful realm of silence. We cannot “understand” but we can “feel” the truth of the cosmos, we can “feel” the “heart” of Creation because it is not separate from or alien to us. We are an integral part of all that is, we are That. Emerson’s famous essay on self-reliance was no doubt influenced by his study of the Upanishads and/or the sutras where Buddha said “And whosoever … either now or after I am dead, shall be a lamp unto themselves, and a refuge unto themselves, shall betake themselves to no external refuge, but, holding fast to the Truth as their lamp … it is they … who shall reach the very topmost height! But they must be anxious to learn.” And “they” must embrace life as a meditation, choosing response over reaction, moment by moment, day by day; that is the way to the topmost height, to the mountain top called liberation. Oneness as the basis for our true identity lifts our experience of life to new heights the epiphany of compassion. “When we see ourselves as parts of a whole, when we reform ourselves and our desires in terms of the whole, then our personal [false-self] disappointments and defeats, our varied suffering and inevitable death, no longer sadden us as bitterly as before; they are lost in the amplitude of infinity. When we have learned to love not our separate life, but all men and all living things, then at last we shall find peace.” This is what Buddha taught, we would do well to listen. Why do we need to study more ideas, facts and concepts when they are the very source of the problem, i.e. ignorance itself? Because the process of studying and reading provides a context wherein we struggle with our own process of awakening. Similarly being in community provides a context in which our “Self” is reflected back to us and our “self” is exposed as an illusion. Both are a self-encounter that creates “consciousness.” And the creation of consciousness is the answer to the Great Question, Who am I? In our journey back through time in search of wisdom we arrive at the Vedas, the earliest level of Hinduism developed in the last half of the second millennium B.C. The Vedas began as an oral tradition or that which is “heard” from the mystical realm. We will focus on the mystical aspects of the Vedas most in harmony with Simple Reality, Vedanta. “Vedanta refers to the philosophical school of nondualism. But in a larger view, Vedanta means the religion based on the Vedas, the revealed scriptures of India … In another sense, Vedanta is a philosophy founded on a set of mystical truths that are in complete agreement with the fundamental teachings of all the great religions.” Unfortunately, the great religions have lost touch with these “fundamental teachings.” We are revisiting those teaching which are at the same time both old and new. But just as in the eyes of the Christian the New Testament does not merely outwardly conclude the literature of the Bible but also inwardly ‘fulfills’ and transcends all that preceded it, so here too anta means not only ‘end’ but also ‘culmination’ and ‘going beyond’—not only with respect to the Vedic scriptures but with respect to all that we are capable of knowing. For veda means knowledge and Vedanta is thus what transcends all (relative) knowledge.” This relates to our two realms of “knowing,” the relative and the Absolute or Simple Reality. “From the early great Upanishads, the recognition ATMAN=BRAHMAN (the personal self equals the omnipotent, all-comprehending eternal self) was in Indian thought considered, far from being blasphemous, to represent the quintessence of the deepest insight into the happenings of the world. [The I AM THAT that Nisargadatta speaks of. ]” This is the Great Insight that leads to the shift from P-B to P-A. One of the illusions in P-B, the doctrine of reincarnation, is detonated by the insight of Oneness when we find that “then it is seen that the separate self and personality, to which reincarnation comes, is an illusion.” Shankara concludes that “the soul’s existence as wanderer, and Brahman’s existence as creator have vanished away … in the esoteric or secret [mystical] doctrine, soul and Brahman are one, never wandering, never dying, never changed.” Our identity in the finality of profound Truth is understood to be eternal, never changing, indestructible energy. Only that which never changes is “real” existing beyond the illusion of P-B. The importance of keeping our practice focused on Simple Reality and the goal of choosing response over reaction is illustrated in how Hinduism fragmented into various “practices” and its loss of a focus on a simple experience. “However individually different the paths may be in emphasis and detail—whether they focus more on knowledge of the truth [jnana yoga] or on loving surrender to a personal God, [bhakti yoga] on meditative mastery over discursive thought [raja yoga] or on selfless action [karma yoga]—they all have the same aim: the dissolution of the ego and intimate communion, or even union, with the divine.” How easy it is to wander off the path of the present moment. What is left of the false self after these many profound Self realizations? What remains in today’s Freudian terms is what we call the ego or personal self, a shadow of the former persona, but with no desires, wishes, or needs. It cares nothing for the survival strategy pursuits of plenty, pleasure and power. It has no desire to control events, circumstances or people. It lacks nothing within itself; therefore, it does not seek gain inasmuch as all is complete at every moment. There is not even a desire for continuance. There is nothing one needs or wants to experience. Next comes discrimination, that is to say, the distinction between illusion and reality. “Brahman—the absolute existence, knowledge and bliss—is real. The universe is not real. Brahman and Atman (man’s inner self) are one.” This is Shankara’s answer to Who am I? The principles of Simple Reality are universal in the human heart; the way it is expressed varies. The following is Shankara’s language followed by the language found in Simple Reality (SR). (SR) P-A is real; P-B is an illusion. (SR) Peace of mind is achieved by ceasing to identify with mind, body and emotions. (SR) Cessation of the pursuit of sensation, pleasure and power begins the process of eliminating craving and aversion, the source of all human suffering. (SR) Self-reliance results in choosing response over reaction. (SR) When we live always in the present moment our life becomes a meditation. We will conclude our revelations on wisdom, our search back through time and space, with a source of wisdom who transcends time and space. Seth has told us elsewhere in these books that time and space a part of the illusion of P-B but not so with wisdom. Wisdom is “real.” Thank heaven for that! Like many of our wise ancestors and current insightful and wise fellow travelers, Seth begins with a warning about our over-reliance on our intellect and our so-called “free will.” “With the large freedom provided by the conscious mind, however, man could stray from that great inner joy of being, forget it, disbelieve in it, or use his free will to deny its existence.” Ouch! I’m glad I don’t do that, aren’t you? “The splendid biological acceptance of life could not be thrust or forced upon his emerging consciousness, so to be effective, efficient, to emerge in the new focus of awareness, grace had to expand from the life of the tissue to that of the feelings, thoughts and mental processes. Grace became the handmaiden of natural guilt, then.” The “church fathers” of our various religions were quick to see the opportunity here and most of us throughout human history were conned into believing the story they concocted to solidify their power and control. “Man became aware of his state of grace when he lived within the dimensions of his consciousness as it was turned toward his new world of freedom. When he did not violate it, he was aware of his own grace. When he violated it, it fell back into cellular awareness, as with the animals, but he felt consciously cut off from it and denied.” This is why in Simple Reality we emphasize ceasing our identification with our body. This article has provided food for thought about how we make everything so complicated in P-B. We could go on and on about the subject of wisdom but we have already described what it is many times over so this is as good a place as any to shut up. So wise-up dear reader and embrace the truth of your being. It’s not that hard. What is the end result of the search for wisdom throughout human history? For those few who have been successful in transcending the illusion of P-B they have experienced a True self, a liberated identity that has no desires, wishes, or needs. It has no desire to control events, circumstances or people. It lacks nothing within itself; therefore, it does not seek gain inasmuch as all is complete at every moment. There is not even a desire for continuance. There is nothing one needs or wants to experience. This is the freedom of Simple Reality available to all and it always has been.